PTV news reporter Jervis Manahan announced on Tuesday that he was stepping down from his reportorial post, just two years after joining the state-owned television network. In a post published on his Facebook account, Manahan said it "was an honor working for the state network," which had been his "second home" for the past two years. "I was sent to cover big events. I have risked my life in a war, in an expedition to Benham Rise, to a day trip in Sulu, joined the Nazarene procession, did 29-hour coverages, sat in congressional hearings, and even followed the President overseas," Manahan wrote. "I've been to places I couldn't have reached if not for this job. They have put me in a front row seat to history and for that alone, I am very thankful. I will cherish all those moments in my lifetime," he added. 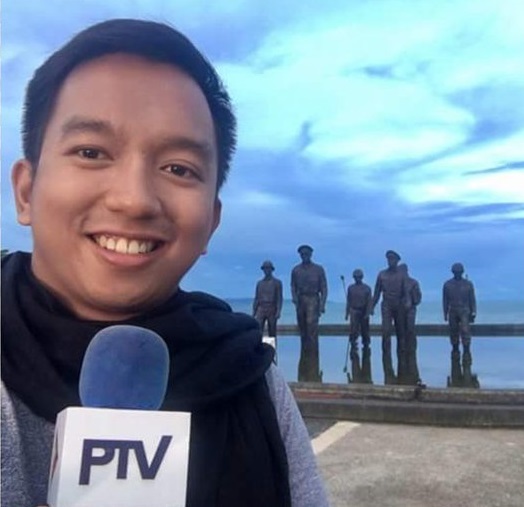 Manahan, a UP alum, joined People's Television Network in October 2015 after a four-year stint at GMA-7, where he worked as a researcher for Jessica Soho's weekend magazine show, Kapuso Mo, Jessica Soho, and eventually as news writer and producer for Unang Hirit's Unang Balita segment and 24 Oras. "Now, it's time to move forward. So excited for all the uncertain things that lie ahead. Para sa bayan, always and forever!" he said.